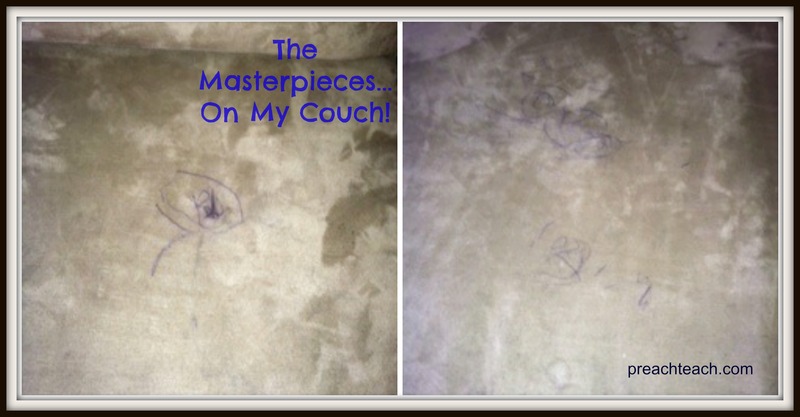 The Masterpieces… On My Couch! Yep! He just couldn’t help it. My coloring culprit has many times left his artwork on my walls. He’s used crayon, pen, marker, water-color paint, dot-paint markers, and dry erase marker. I think a permanent marker is the only color avenue that hasn’t found it’s way on my walls. 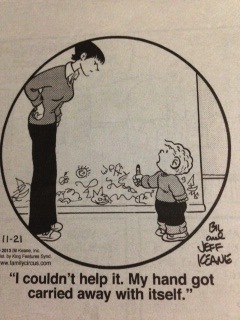 But, he has used them on my wood floors. Thankfully, my teaching days taught me that a dry erase marker can get out a Sharpie. Brilliant Mom wins again! Then, one morning, as I’m sitting on the couch feeding the baby, my expressive three-year-old who is so sweetly snuggled next to me says, “Look what I did, Mommy!” He’s so sweet. He’s so proud. Isn’t he delicious?! All snuggled on my lovely couch! 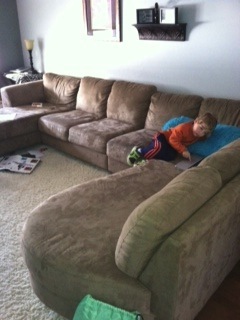 As I look over his lap I see pen, scribbled decorated all over my couch… my new (Craigslist purchased) couch. 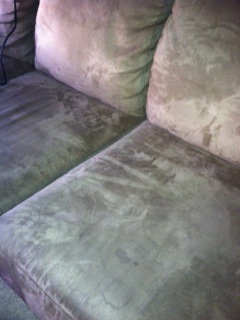 I know what you’re thinking, “Just turn the cushions over!” Well, unfortunately for me, the cushions don’t flip. Ugh! So I do the next thing I know how, I ask Facebook. Thankfully, my FB friends were helpful and well-versed in such a perdicament. 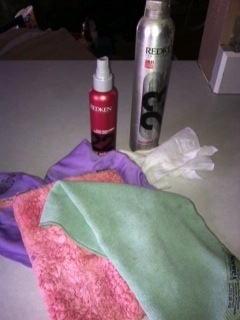 There were many suggestions- baby wipes, Norwex wipes, and hairspray amongst others. I wasn’t certain if I had the exact Norwex rag that was suggested, but I did have three different versions, so I grabbed those. Baby wipes were easy to find. Then I went to my mom’s overnight bag she keeps here, and grabbed what I assumed was a bottle of hairspray. However, it’s labeled “Thermal Setting Mist.” Uh… what happened to hairspray? Since I was unclear as to whether or not my mom’s “mist” classified as hairspray, I dug out my at least 5 year-old bottle of hairspray. 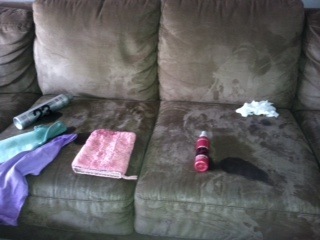 I then conducted my own cleaning test! All three of the Norwex seemed to lighten the ink, but I really had to scrub. Who’s got time for that? The 5 year+ hairspray had some success, but the fumes from the bottle were a little too toxic. Finally, my mother’s Thermal Setting Mist, which I’m assuming is just lipstick on a hairspray, magically erased my little Picaso’s masterpiece. Viola! After being cleaned with hairspray. Now… who knows how to fix a dryer that won’t dry? Seriously!